Hi, I am Charisma Horton over at Charisma’s Corner. 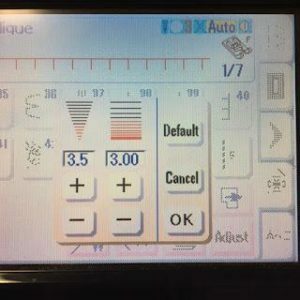 I am a new pattern designer; however, I have been in the quilting business for the last 10 years as a longarm quilter. 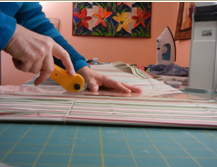 I own three longarms and I have been quilting for people all over the world. I love that I get to work from home. I was able to raise 6 children while quilting and to be there for all of them was a HUGE blessing. Now that 5 of them are on their own, I have more time to dedicate to this new adventure of pattern designing. One night last summer I decided to submit a design to a magazine on a whim and it was accepted the next day. I was over the moon excited. I felt like that was a sign that I needed to start this business and keep going. So far, I have been picked up in 7+ publications. So, I started my business. 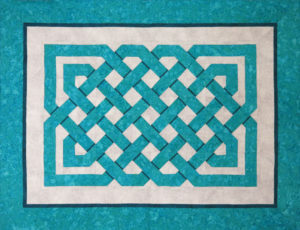 Due to the fact that I have several quilts come across my frames, I see many quilts from all styles, materials and techniques. I love all of them. I feel privileged that so many people trust me and I love each and every one. Because of what I see, I am inspired and that diversity is reflected my own design work. I have modern, traditional, wool applique, Christian and embroidery designs in my shop. I like to mix mediums and styles. Most of my wool embroidery designs are brighter colors with a mix of embroidery stitches. 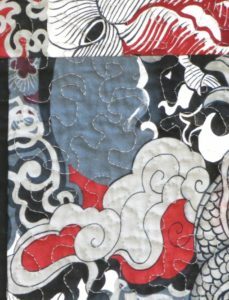 You will see in most of my works that I tend to mix many designs whether it’s fabric choices, quilting designs, or embroidery stitches. One overall stitch or design doesn’t seem to hold my interest. I tease that I have no attention span so I have to shake things up! Lately, I have finished this great monthly mini series called, A Gnomie Year. 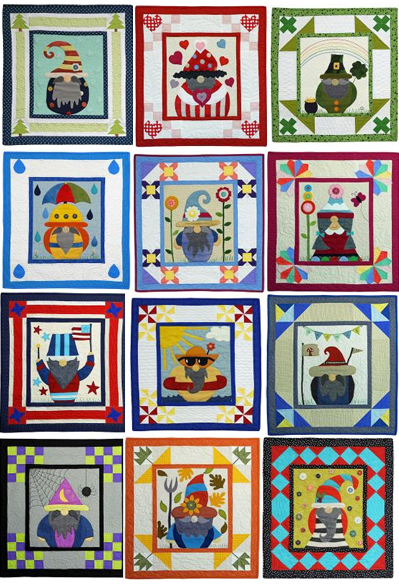 I created 12 gnomes, one for each month using wool applique on cotton backgrounds. 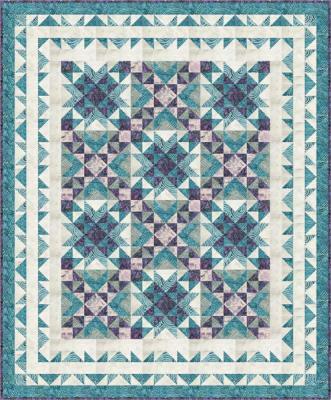 They are mini quilts that measure 29×31. These guys are so fun and a great way to reflect the changes in the seasons. They are sure to bring a smile! 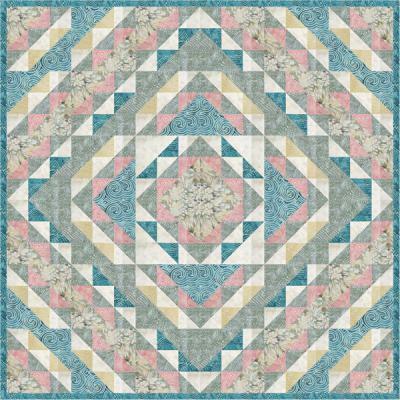 Charisma Horton’s patterns are now available on QuiltWoman.com. Visit our website today to see our full selection of patterns. 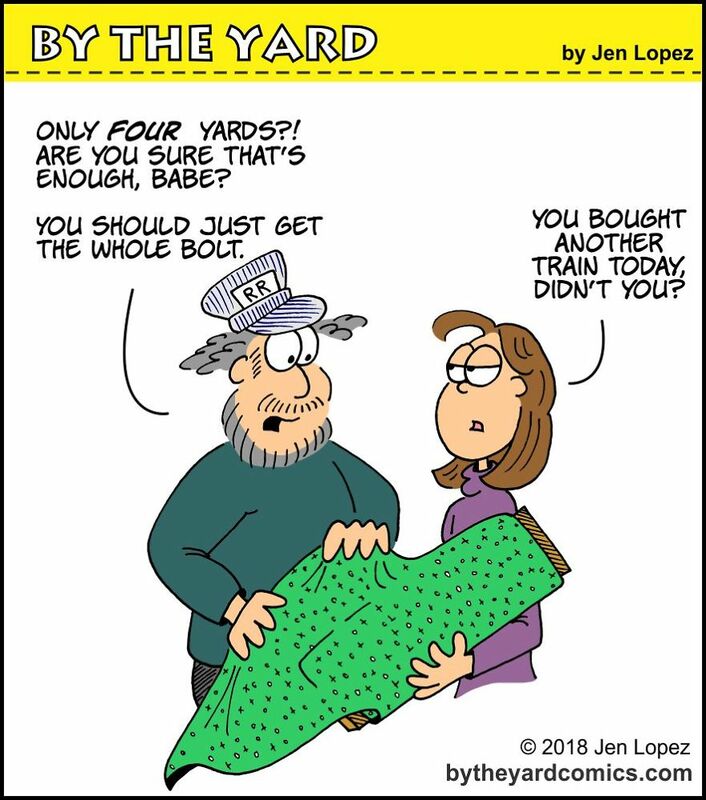 “By the Yard” has received overwhelmingly positive responses by tens of thousands of hobby fans each week on a variety of Facebook groups ranging from knitting and quilting to model trains. 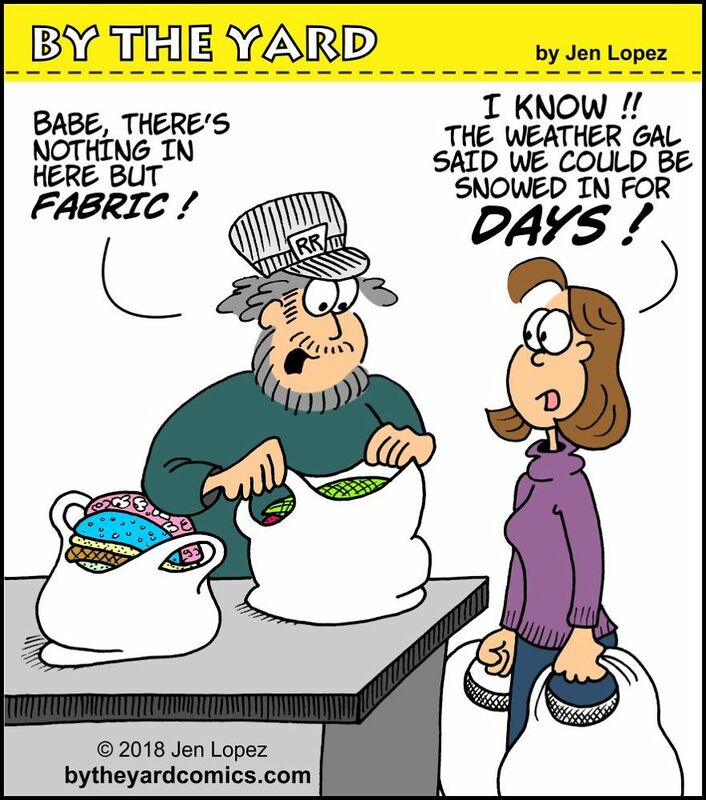 Other hobby geeks are enjoying seeing themselves in the comic, whether it be hoarding craft supplies before a snow storm or trying to hide their latest purchases from their significant others. I’m delighted with the positive reception “By the Yard” has received and am taking that as tacit approval to buy more fabric. Jen Lopez is also a pattern designer and owner of www.sewfun.com where she has designed and sold patterns since 2009. Trick or Treat…. Smell my Feet…. Give me something good to eat…..
running around the neighborhood in our costumes. One year I was a robot… I made my costume out of a refrigerator box wrapped in tin foil. I had a small slit cut to see out of and a ‘deposit candy here’ opening with a pillowcase hooked to the inside of the box to catch the candy. This was one of those costumes that in theory was awesome, but the practicality of it…. not so brilliant. I could barely navigate front steps. It was hilarious! I thought it looked like a robot, but I’m sure I just looked like a huge box wrapped in tin foil hobbling down the street. It turned out to be unseasonably warm that year… so I baked inside of my toasty box… I could have been a microwave! 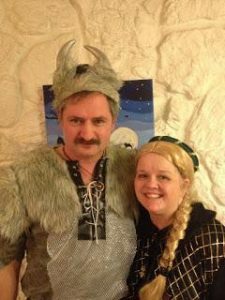 Halloween last year, my sweetie and I.
you! 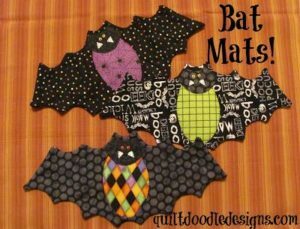 I made a bunch of Bat Mats… they are so stinkin cute and are a great way to use up leftover scraps of Halloween fabric. 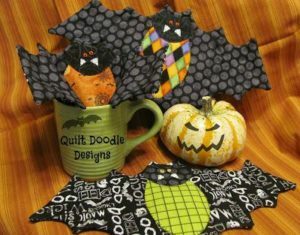 Stuff a Bat Mat in a mug with candy for your friends! 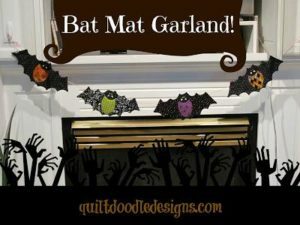 Make a bunch of Bat Mats and sew them onto some orange and white bakers twine for a batty garland to welcome the little zombies that visit this Halloween. I love that fall is right around the corner. I am looking forward to the cooler days and the sound of the leaves crunching under foot. I am already thinking about Halloween and have been having fun doodling… I came up with this mischievous Jack-O-Lantern that’s sure to make your trick or treaters giggle. 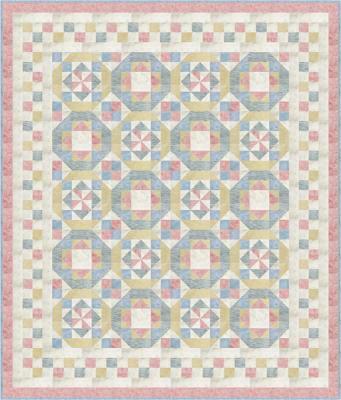 I’ve put the design on a tea towel from Dunroven but this design would be wonderful on a 10-minute table runner, apron or made into a mini quilt. 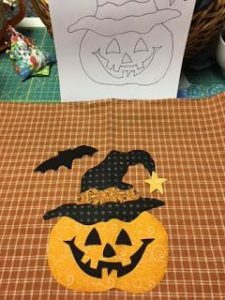 I pulled some festive fabric from my fabric stash, this is a great project to use up some bits and pieces you may have in your sewing room. Let’s get stitching! 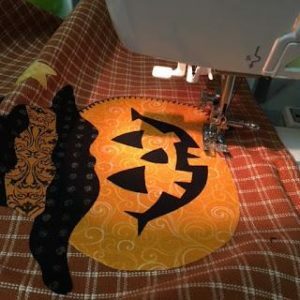 You will need a copy of the pattern… Jack-O-Lantern can be found on the QuiltWoman.com website… Fabrics in the following colors, orange, orange print, black, black print and gold. 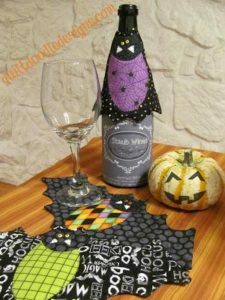 I used Heat-n-bond lite, and Lana Wool in black from Aurifil. 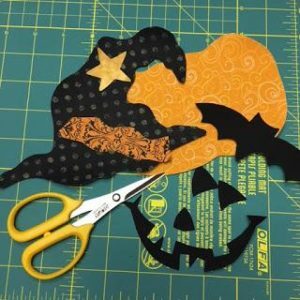 For cutting my pieces out, my applique scissors from Olfa work wonderfully. I’ve traced all my applique shapes onto the paper side of the heat n bond. grouping together pieces that will be cut out of the same color. I have all my pieces cut out and ready to iron onto my tea towel. Using the pattern placement sheet as a guide, place your pieces onto your towel. Remember to peel off the paper on the back. 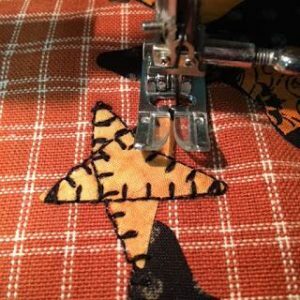 Then using a buttonhole stitch on your machine, stitch along the edges. To add a little extra detail, I ‘drew’ my star like I would as a kid. Sewing from point to opposite point. Instead of using my regular thread, I used Lana Wool from Aurifil. This thread is a bit thicker and requires a bigger stitch size. I adjusted my machine stitches accordingly using a 3.5 width and 3. length. 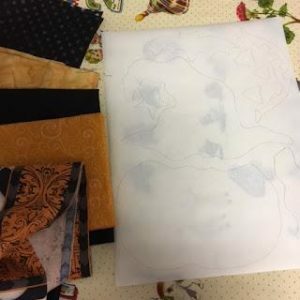 Play around on some scrap fabric and see what you prefer to use with your machine. Hope that you like Jack, I think he’s adorable! Now I’m off to find some pumpkin spice coffee and do a little sewing. 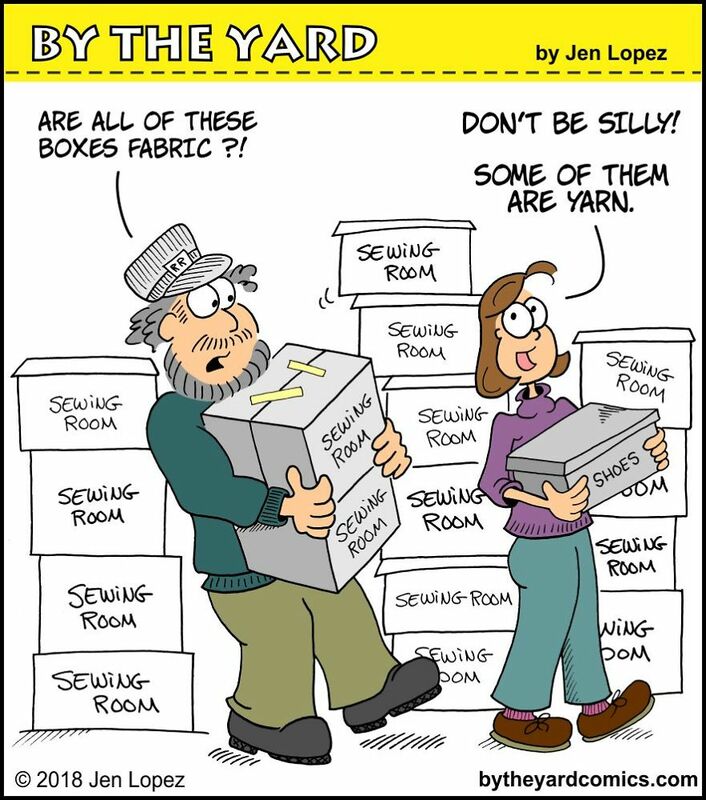 I hope you have a great day and find some time to do some sewing. Both of these patterns can be found on my website. 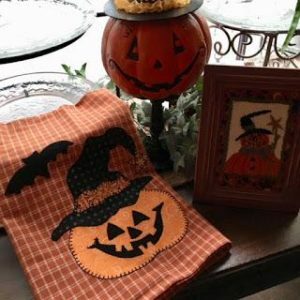 Click here to purchase the Jack-O-Lantern pattern. 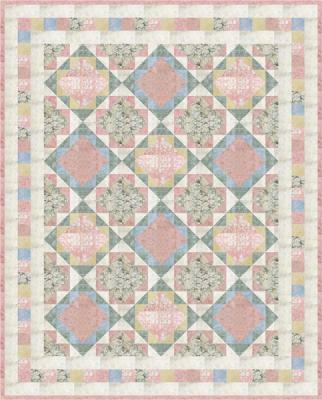 Click here to see the full selection of Quilt Doodle Designs patterns. 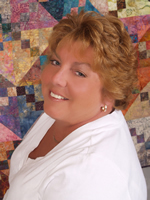 I’m Jeanne Nivard of Jeanne’s Bags and have been a quilter for 20 years. 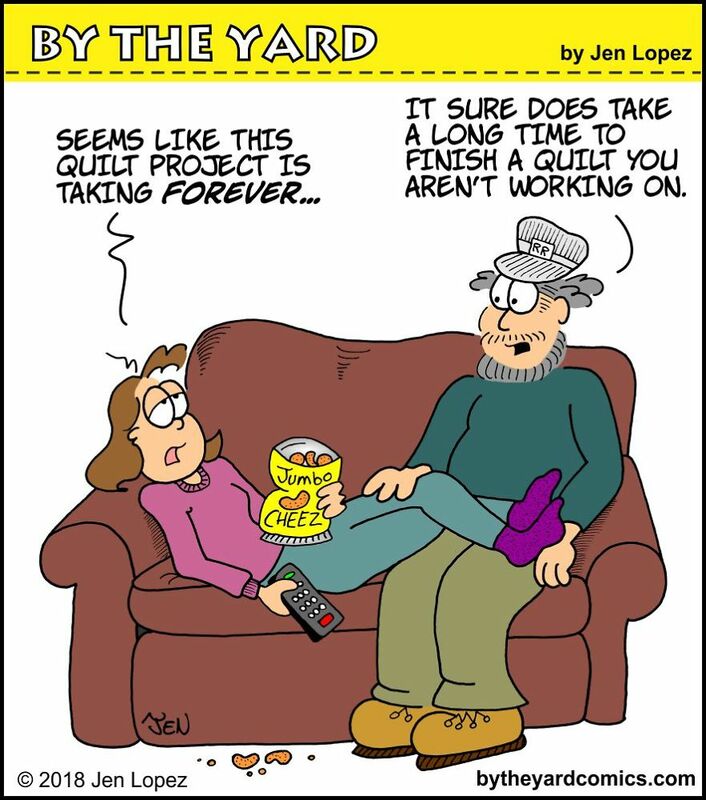 After making quilts for my HUGE extended family, I needed to come up with new gift ideas. Quilted purses were getting very popular so I tried my hand designing my own bags. My family and friends loved them! 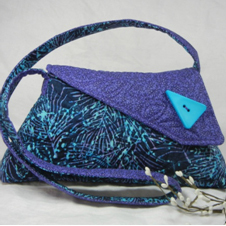 I am in love with fabric and still enjoy making my free-motion quilted purses. The finished products are available online on my Etsy and Amazon-Handmade shops A few local shops carry my purses and I still enjoy participating in local craft shows around the Holidays. Purses are a very individual thing. We all love certain colors or design. 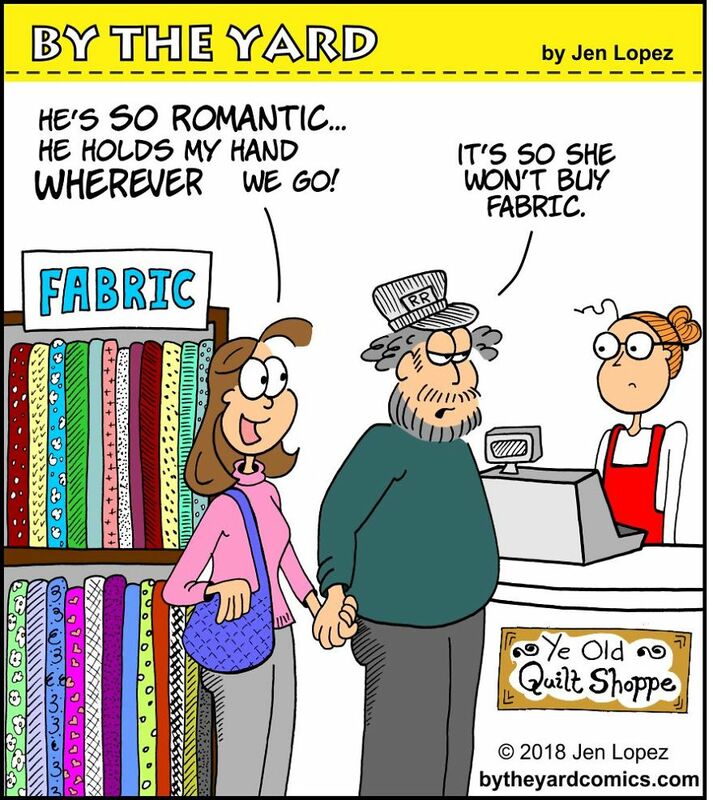 That’s why patterns are so handy. I started putting some of my designs to pattern a few years ago. You can choose the fabric you like in the purse style you like. 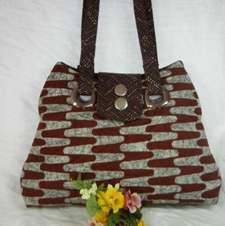 The same style purse can have such a change in mood just by changing the fabric. Best of all, no one else will have your exact purse since you pick out your fabric design. 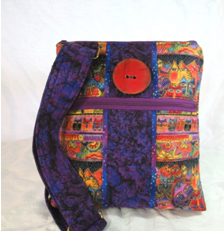 I see purses not only as a functional thing, but as a piece of art – functional art! 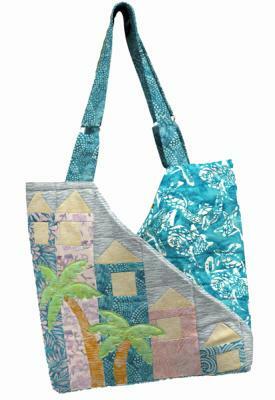 See Jeanne’s Bags patterns here. JULIA – Cross-body satchel. Zips closed, front zip pocket. Pockets inside. VERONICA – Shoulder bag with pockets inside and outside. Grommets hold the handles. DIANA – Small shoulder bag that closes with a magnetic snap on the diagonal flap. Pockets inside. Owned and operated by Kenneth J Shaw of Holley, NY specializing in unique wood items. You may be familiar with his picnic table that becomes a bench, if not check it out online here. Kenneth also creates truly beautiful cutting boards, planters, and wine serving racks in addition to furniture! 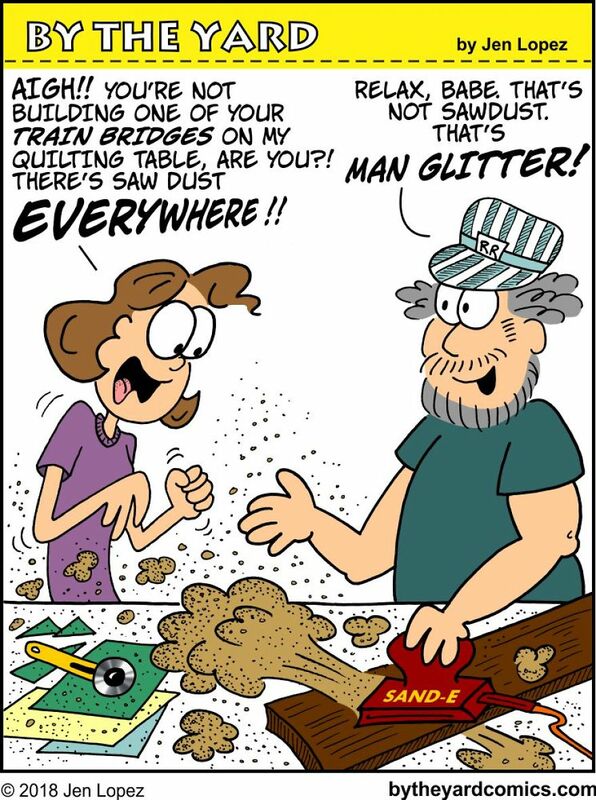 With years of experience, it’s safe to say Kenneth has really perfected his craft! If you missed him at Holley June Fest on 6/2/18 you can check out more of his work online at www.facebook.com/kenneth.j.shaw1 or on Instagram at #Buzzsawshaw. You can also email him at k1shaw@live.com or call (585)451-4845 with questions, comments, or to place an order. All of his products are sure to be loved and will last for a very long time! They make fabulous gifts! 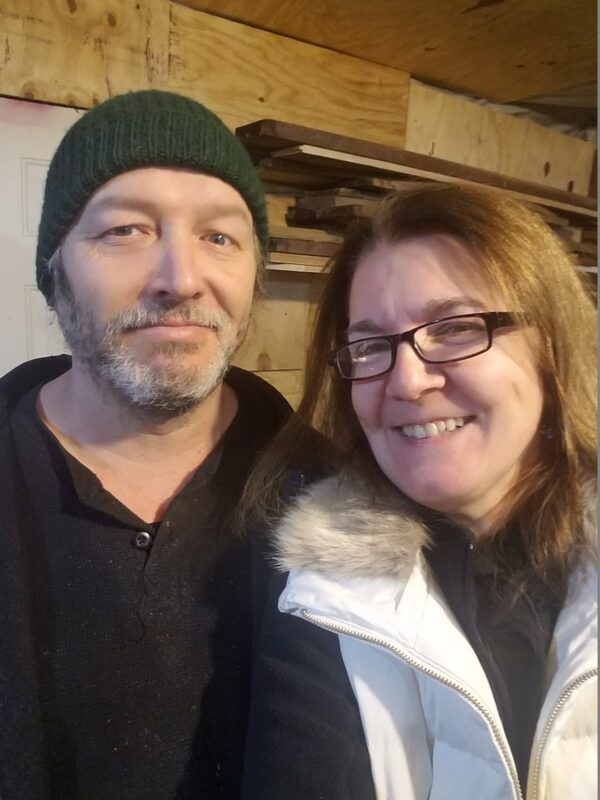 Introducing… Chris and Julie Brooks of Holley, NY have some great ideas for you! A family owned and operated business specializing in creating custom screen printed apparel, etched glassware, and personalized gifts. Do you own a business? 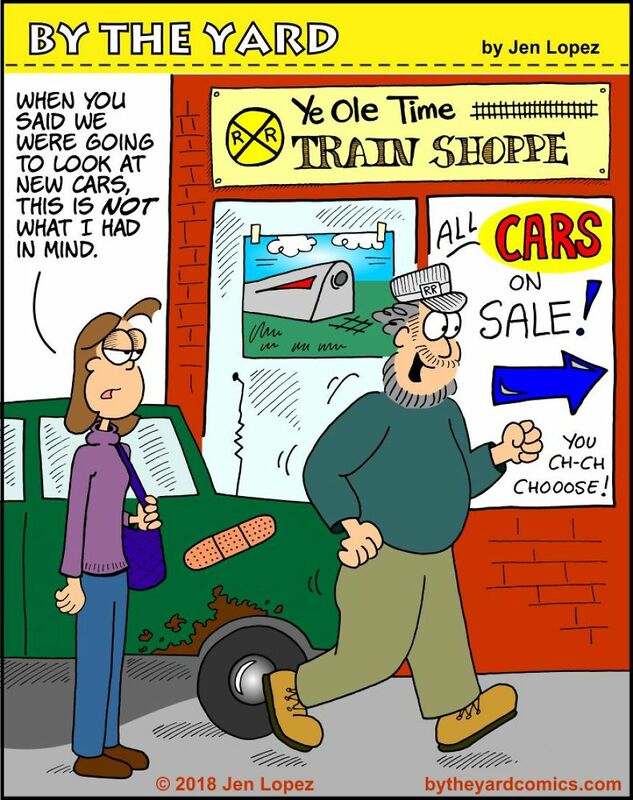 They’ll use your logo to create promotional items! Do you have parents to celebrate on Mother’s and Father’s days, or birthdays? They’ll personalize a gift Mom and Dad are sure to love! Got kids involved in sports teams? They also do team uniforms, as well as fan gear for supporters in the stands! Got weddings to attend? Their etched glassware is an elegant gift for newlyweds! Holidays, reunions, backyard get togethers… you name the event, they’ve got you covered! If you didn’t catch them at Holley’s June Fest on 6/2/18 you can check them out on Facebook at www.facebook.com/jctees.wny to view more pics. You can also email them with your questions or for more info at jctees.info@gmail.com or just give them a call at (585)208-1429! Go From Local Teacher to National Teacher in Three Easy Steps! With shrinking guild memberships (and budgets), the expense of hiring a big name national teachers, along with airfare, baggage fees and hotels, is something guilds are cutting back on. They are looking for local and up-and-coming teachers, and they are seeking ways of sharing expenses with other guilds – cooperating together to bring a teacher to both guilds. 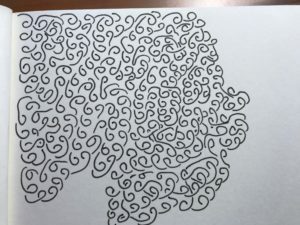 So, you’ve designed some patterns, maybe even had a book published. 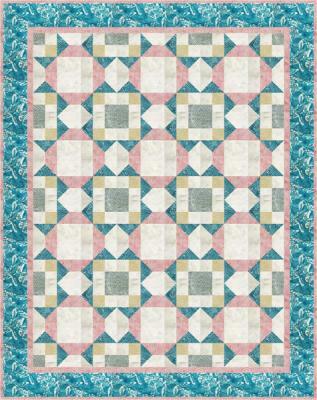 You’ve taught at your Local Quilt Shops, done a few classes for local guilds, created your Teaching Brochure. You might have a website (or not) but you’re not getting attention from guilds across the nation. You want to expand your range of teaching gigs and you’re stuck… . How do you get the guilds’ attention to get those gigs? There is an easy way and guess what—it’s free. Big name teachers are using it and so are up-and-coming teachers. Hundreds of guild members use this site to search through the profiles of over 150 teachers. They are able to search by state and by the teacher’s specialty. They can read the teacher’s profile–right on the site–and contact the teacher on the same page. Best of all, it works! Guilds send inquiries daily to teachers, and teachers like Maggie Ball, Cheryl Sleboda, Ann Shaw, and many, many more, have been contacted and booked to teach. It’s not just Teacher profiles that guilds are looking at, either. There’s an online calendar with teaching engagements across the country, for 2018, 2019, 2020. 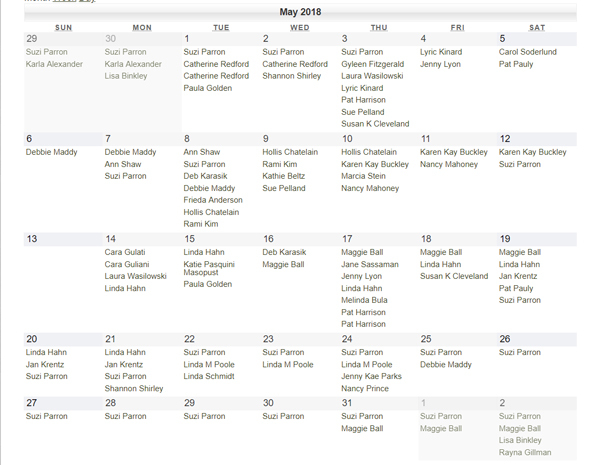 Guilds can look at their state (or a nearby state) for any month to see who’s already booked to teach near them. They “piggy back” that booking, which saves money for both guilds (they split the travel expenses) and it gives the teacher double the earning power for one trip. It’s truly a win-win. Are you excited? Want to be listed there? Submit your profile, sign up for the newsletter (to be informed when new features are added), and input any guild teaching engagements you have coming up so that other guilds can piggy-back that booking. It’s that easy! This is the number one way to have guilds find you. 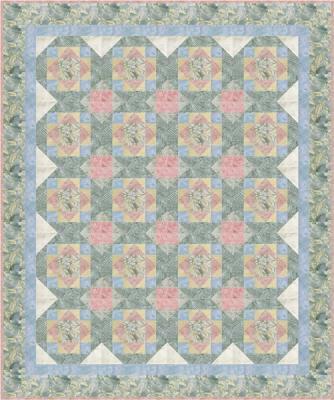 Consider upgrading to a Premium Profile—it will show a photo of your best quilt; include your downloable brochure for the guild to click on; and other upgrades that make YOU stand out. Head on over to The Quilters’ Calendar today to get your profile in front of the guilds who are searching for teachers nationwide!